We are an LA pool contractor. That being said, we are talking from experience. We know a thing or two because we have done a thing or two. The absolute first thing that you need to look for in an LA pool contractor is someone who works with you. To us, working with you means a consideration of your budget for a pool, the area that you have for a pool, the environmental impact that a pool will have on your family and neighborhood, and the costs that are involved in maintaining your pool. We also feel that you should have a really firm grasp on what the pool will look like before construction begins. This does not mean a set of drawings alone because technology has gone past that. We feel the following is what you should look for in an LA pool contractor. 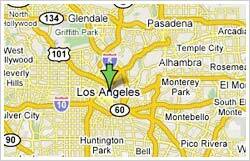 A company that has installed pools in the Los Angeles area for 40 years or more is your best bet for quality work. This is really a simple idea. There are many pool contractors in LA. A company that lasts for a long time must have built a word of mouth reputation for quality work. The company will have had experience doing the most elaborate and ornate pool work as well as small home pools. We understand that anyone can say that they are the best. We know that checking up on a company is very easy with today’s social media. You want a company that has a perfect reputation with the Better Business Bureau and other organizations like that of course. You also want a company that has great reviews by real people on social media sites that have nothing at all to do with the company or its products and services. Pool technology has changed over time. You want the most up to date tech in construction. The idea is that better construction methods and material makes your pool last longer. You spend less time and money with maintenance and more time enjoying your pool. New tech offers you an environmental and health advantage. Systems are available that use no chlorine or minimal chlorine. You get the same protection from algae and parasites without the harmful impact of chlorine on people, pets, and the environment. Pool design technology has attained a state of sophistication that is revolutionary. Designers can create a video of the pool that you think you want and show it to you before construction starts. This addition allows you to make changes. The idea is that you and the builder have an easier life installing your new pool. The best part is you get exactly what you want. A pool can be a very complicated undertaking. You want a company that can do the landscaping that is needed and any necessary plumbing. Spas, waterfalls, outdoor kitchens, and any luxury ornamentation for a pool should be a craft that is handled by the company you select. Pools require equipment for trouble free operation and maintenance. You want a company that has connections to the best suppliers. You do not want a company that pushes you to buy a certain brand that they have a financial interest in. An LA pool contractor that can do all of this earns your trust because they prove themselves worthy of your trust. A pool can be a large investment and trust is a necessity.